Millions of people experience anxiety over seeing a Dentist. Painless dental services are the answer. Relax! 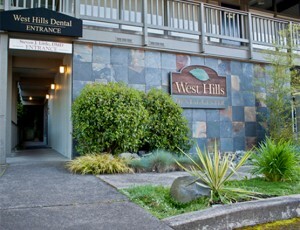 At West Hills Family Dental Center in Portland we provide sedation dentistry to make your treatment fear free! Dr. Little has the tools, the technology and the training to improve your smile easily and comfortably. "It’s not about ‘business’ it’s about service… at West Hills Dental we strive to earn your respect." Carrying on a dental tradition. Craftsmanship of the 40’s brought into the high technology of today! In 1993, I began studies in dental laboratory skills. I entered a prestigious dental lab school and after graduation, began working in-house for prominent dentists that exposed me to world class dentistry. Dr. Gordon Christiansen (see CRA) is the one that motivated me to return to school to complete my education. After graduating from OHSU with a Doctorate in Dental Medicine, I began work at my current location where Dr. Clarke served as my mentor. Dr. Clarke introduced me to a high level of comprehensive dental care that spanned back to 1943. I then completed one year of Continuing Education in orthodontics and one year in Implantology (maxi course American Association Implant Dentistry). I completed a mini-residency in IV Sedation with an advanced cardiac life support certificate and have acquired over 1,000 hours in ‘extra’ education. I then passed the test and received my Fellowship in the AGD (see AGD he is soon to receive his Mastership). With years of continuing education, a fantastic mentorship and by surrounding myself with the highest quality staff, I am able to provide you with the quality of care all of our patients deserve. My job in our dental office is to present all options available in dentistry from simple dental exams to implants and snore appliances. If we can’t provide it I will refer you to someone who does. It’s not about ‘business’ it’s about service… at West Hills Dental we strive to earn your respect. Dr. Little has associations with many specialist organizations. He is up to date on the latest technologies. Feeling anxious or even outright scared by the thought of dental treatment is nothing to be embarrassed about; it is a fear shared by many. Painless dental services are the answer.